The Olympic Games themselves were dominated by the performance of the black American Jesse Owens who had collected a staggering four gold medals! Not only did he win the medals, he won them in premier events, against outstanding competition: 100 meters, 200 meters, long jump and the 4 x 100 meters relay. A worthy champion of track and field. Hitler was far from being amused, his dreams of the games being the celebration of a "master race" were in tatters. But possibly all was not lost. For three years prior to the games, Hitler had decided to appoint a Reich's sports minister who would be responsible for appointing a president for the German Gold Association. He in turns would appoint presidents for all clubs. Karl Henkell was appointed President of the German Golf Union (DGV) and Baron Ruprecht von Bocklinsau became President of Golf Club Baden-Baden eV. The Golf Club Baden-Baden is the third oldest club in Germany. 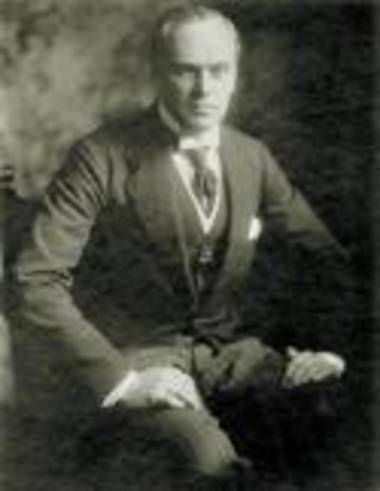 Already in 1893 Reverend T. Archibald White decided together with an American consul whose name is not known to introduce the game of golf in Baden-Baden. In 1901, the time had come, the first golf course was inaugurated right next to the station in Baden-Baden's district of Oos. In 1907 Baden-Baden was one of the eight clubs that founded the German Golf Association (DGV) in Hamburg. Baden-Baden's delegate was Willy O. Roosevelt, 2nd cousin of former US President Theodore Roosevelt. The Baden-Baden golf course at the foot of the Fremersberg is one of the most playful and scenic in Germany. 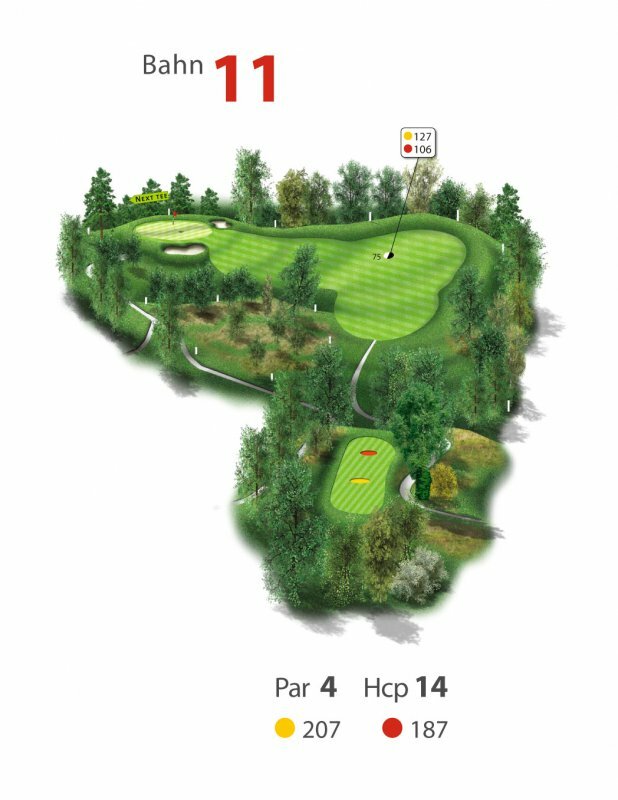 Although "only" Par 64, the system has subtleties that make even good handicaps a challenge. If you let your eyes wander from the Fremersberg to the Altes Schloss over the Merkurberg to the Rhine plain, the Strasbourg Cathedral and the Vosges at the 11th hole, you will enjoy "Golf totally". Karl Henkell was described by Henry Longhurst (World Golf Hall of Fame) in his book "My Life and Soft Times" as the "Golf Führer" and 'uncle-in law' to von Ribbentrop when he was in fact his brother-in-law having married his sister. The family business was renowned for the well-known German 'champagne' Henkeltrochem, known today as Henkel Trocken sparkling wine? The "Golf Führer" wanted to give credence to the non-Olympic sports, such as horse riding, tennis and golf, immediately following the Berlin Olympiad, and with this in mind decided to arrange a golf tournament. This event was to serve as a tool for German propaganda. 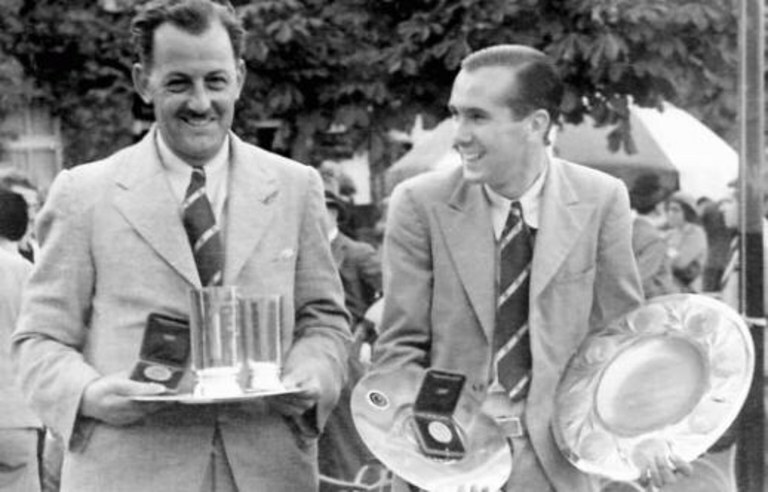 After Germany's performance in the Olympics, his slender hope of salvaging any sporting pride lay with the "Golfpreis Der Nationen" which would be held at Baden-Baden Golf Club on the 26th and 27th of August 1936. As such it was not an integral part of the Olympic Games, however, it was the first time that teams of two players from seven different nations would compete for a golf prize. Thirty-six countries had been invited to come to Baden-Baden but only seven were to take part. Four individual medal rounds were to be played by two players from the following countries: Germany, Czechoslovakia, England, France, Holland, Hungary and Italy: the team with the best aggregate score being the winners. Hitler had donated the first prize and naturally he was anxious to be at the prize presentation, and hopefully to be acclaiming a victorious German team. Due to the political situation, Golf Illustrated magazine was very much against England's participation and English golfers themselves were more than a little apprehensive! Baden-Baden Golf Club was situated at Baden-Oos, just seven minutes by train from Baden-Baden, the clubhouse being conveniently situated opposite the railway station, its now situated at the foot of the Fremersberg mountain . In Britain, numerous golf clubs flourished due to their proximity to the railway network. The German Open was played there in 1911 and 1912, after which the event was abandoned until 1926, eventually returning to Baden-Baden in 1930. In the first year, with a total purse equivalent to £240, Vardon beat Herd into second place by nine strokes. The following year the prize money on offer was increased to £500, the largest sum ever for a tournament in Europe! After 72 holes Taylor & Ray tied for first place on 279, before Taylor accomplished the nine-hole play off in an extraordinary 28 strokes to win the championship. By 1936 The English Golf Union (EGU) was already well established, having being formed in 1924 at a meeting attended by representatives from the County Unions, most of whom had even earlier beginnings. And so it was the EGU who selected Hesketh Golf Club's Arnold Lewis Bentley (1911 - 1998) and Bridlington Golf Club's Tommy Thirsk (1900 - 1979), a Lancastrian and a Yorkshireman, to challenge Germany and the other five nations for the "Golfpreis Der Nationen". Thirsk turned out to be an inspired choice, in spite of having being a late substitute for that highly successful millionaire golfer rejoicing in the name of Francis Francis. Hitler did not attend the tournament but was represented by his Nazi Foreign Minister, von Ribbentrop. On the first day Germany led England by five shots (282 to 287) and after the final morning round, Germany, represented by 19 year old Leonard von Beckerath and C. A. Hellmers, were still leading but only by three strokes. von Ribbentrop notified Hitler that there would be a German victory. Elated, the Führer set out for Baden-Baden to present the trophy to two members of his 'master race'. von Ribbentrop then raced off by car to intercept Hitler and break the bad tidings. Hitler was furious, ordering his chauffeur to turn the car round and take him back to Berlin, leaving Karl Henkell, the "Golf Führer" to present the trophy. The England team had achieved the distinction of turning back Hitler in his own country! The outcome of Hitler's Gold Prize of Nations golf tournament was not what the promoters and surely Joseph Goebbels, Reich Minister of Propaganda of Nazi Germany had hoped for...and oh surprise records of the event appear to have been air brushed out. Professor Dr. Dietrich Quanz from the "Deutsche Sporthochshule" in Cologne who had carried out considerable research into 1936 Olympic Games with particular reference to the golf played in Baden-Baden, was unable to find any records whatsoever in the Germans archives relating to that famous victory. Notes: Karl Henkell President of the German Golf Union (DGV) was the brother-in-law of Ulrich Friedrich Wilhelm Joachim von Ribbentrop(30 April 1893 – 16 October 1946), a businessman and close friend of Hitler. 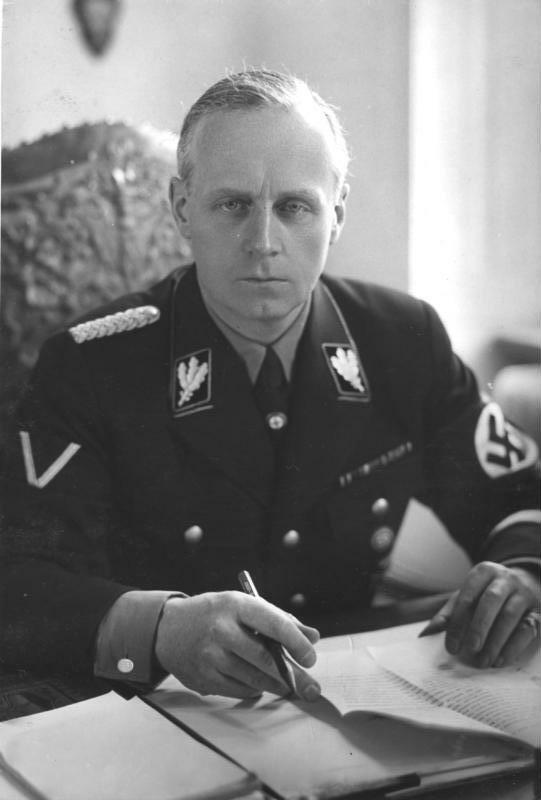 von Ribbentrop became the Nazi foreign minister in 1938: arrested in June 1945, he was tried at the Nuremberg trials and convicted for his role in starting World War II in Europe and enabling the Holocaust. On 16 October 1946, he became the first of those sentenced to death by hanging to be executed.